Our goal is to prepare young people for lives of economic freedom, and it all starts in the critical years from birth to age five. During this time children benefit when the adults in their lives understand how they are growing and learning and know how to apply that understanding. The number of parents who thrive in their role as their child’s first and best teacher. The number of homes, childcare centers and preschools that put child development principles into practice. The number of early childhood programs with the ability to support children’s development. The level of community involvement in the development of children ages birth to five. Click here to learn more about what we believe and why. From birth to age five children are engaged in making important connections that they will use throughout their lives. The emotional connections that children establish with their parents and caregivers will guide their interaction with people. Children’s environment and experiences will help them build the brain connections they’ll need to learn and thrive in the world around them. Growth and learning in middle childhood builds on the foundation that was laid in early childhood. While they continue to rely on their parents and their familiar surroundings, children from age six through twelve become voracious explorers of the world around them. The number of parents who are involved in the quality of their child’s education. The number of traditional learning environments that shift their focus on adult needs toward a concentration on children’s needs. The number of learning environments that align with children’s developmental needs. The number of Developmental Assets that children possess. The number of youth-serving organizations with the ability to address the developmental needs of 6-12 year olds. The level of community involvement in the development of 6-12 year olds. We believe that middle childhood development builds on a child’s early childhood experiences. From age six through twelve the strong bonds that were forged in early childhood stretch to accommodate children’s need to explore and understand the world around them. Far from a strict timeline, during middle childhood each child develops in his/her own way, and on a timetable that reflects their unique needs. To be ready for a life of economic freedom, a young person must have the opportunity to learn skills, acquire knowledge and build character. Beginning at about age thirteen, young people begin to think about their purpose in life and crave ways to apply the experiences and information that they’ve gained during their childhood. The number of parents who are actively involved in the quality of their child’s education. The number of traditional learning environments that shift from a focus on adult needs toward a concentration on children’s needs. The number of Developmental Assets that adolescents possess. The number of youth-serving organizations with the ability to address the developmental needs of 13-18 year olds. The level of community involvement in the development of 13-18 year olds. The number and of quality leadership opportunities where young people can gain a closer connection to their community. The number and quality of opportunities for young people to gain real responsibility and take meaningful steps toward economic freedom. 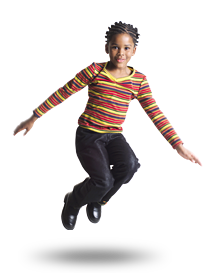 We believe that adolescent development builds on a child’s experiences in middle childhood. Young people grow and develop in their own way and on their own timetable, but some things ring true for all. Our experience shows us that 13-15 year-olds want to try out all of the knowledge they’ve learned, but they need a safe environment for those tryouts. Sixteen through 18 year-olds on the other hand benefit from real-life experiences in the community at large. Exhibit an extreme push for independence. Are less interested in formal learning. Become interested in society and their role. Are capable of advanced reasoning and logical thought processes. Begin to carefully think through issues of social justice. Start to ponder their purpose in life. Need support and understanding from caring adults as they discover their place in society. Need positive adult role models. Need opportunities for meaningful participation at home, school and within the community. Only vibrant communities are able to adequately support the development of their children and young people. The best of those communities act as economic freedom role models for their citizens. The number of communities that have the baseline information they need to understand their strengths and weaknesses. The number of communities that have an overall plan for addressing their needs and building on their strengths. Communities’ ability to provide families with leisure-time activities that expose young people to new areas of interest. The number of communities that consider young people as they develop business opportunities, provide leadership skill development and promote charitable activities. The number of communities that ensure that young people and families have the opportunity to build a strong bond with their community. We believe that in order for young people and families to thrive, the communities that they live in must be healthy and vibrant. In this area of focus we want to fund projects that result in community viability and build or maintain the community’s ability to support healthy youth development.